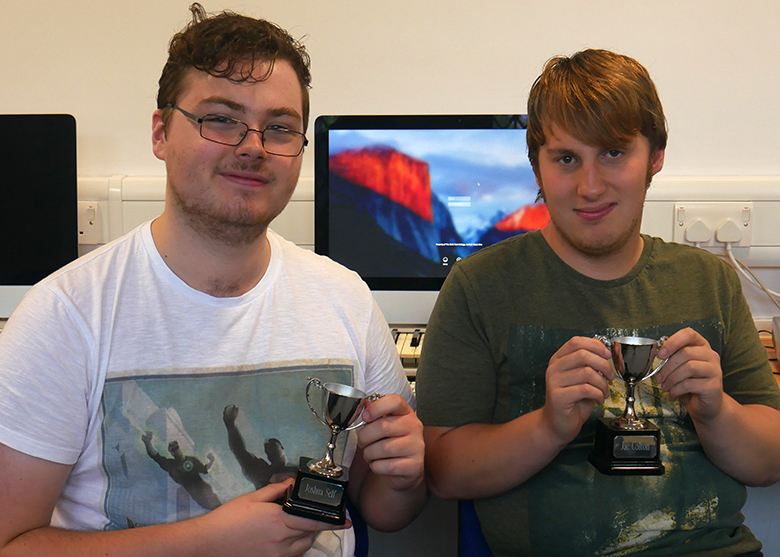 Two Music Technology students at The Sixth Form College, Solihull have started their second year of study in the best possible way, by winning the annual Music Technology Remix Competition. Joshua Self (aged 17, from Shirley) and Jac Colton (aged 17, from Solihull) were judged to have come up with the best remixes of the ‘Imperial March’ from ‘Star Wars’ by John Williams. The remixes had to be 2 minutes in duration and made use of the industry standard software that Music Technology students have at their disposal. Dr Simon Hall, Head of Music Technology at the Birmingham Conservatoire, judged the entries and enthused about the overall standard of the remixes.